Individual operators, businesses and community groups (Advertiser/agency) featured on the www.visitwentworth.com.au website are not necessarily Accredited unless specifically stated with the accredited tick logo on their own listing or advertisement. This website is protected under copyright infringement laws and as such remains the property of Wentworth Shire Council. Any use of content on this website for commercial reasons requires permission of Wentworth Shire Council. Wentworth Shire Council requires maximum of 72 hours or 3 working days for ad approval and added to directory from application date. Wentworth Shire Council reserve the right to promote any third products that they deem appropriate on any pages of this website. General. 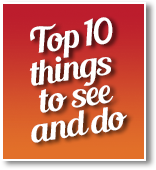 By submitting a listing for inclusion on Wentworth Shire Council Tourism website, advertiser/agency/business agrees to be bound by the terms of this contract. No conditions other than those set forth herein shall be binding on Wentworth Shire Council. This contract supersedes any previous agreements between Wentworth Shire Council and advertiser/agency relating to the subject matter set forth herein. Wentworth Shire Council’s only obligation to serve advertisements hereunder shall be to serve advertisements of the advertiser described herein, and in no event shall Wentworth Shire Council be obligated to serve advertisements for any other advertiser. Changes Wentworth Shire Council reserves the right to change any of its advertising specifications at any time. Delivery, Frequency and Makegood. All figures relating to the number of advertisements served as determined by Wentworth Shire Council shall govern, regardless of whether advertiser/agency is using the services of a third party ad server. Keywords and Phrases. Wentworth Shire Council offers no exclusivity on keywords or phrases. Each advertiser will list according to the policy of the Wentworth Shire Council. Rejections. Wentworth Shire Council reserves the right, without liability, to reject, edit, omit or exclude any advertisement or to reject or terminate any links, images, buttons, boxes or banners for any reason at any time, with or without notice to the advertiser/agency, and whether or not such advertisement, link, button, box or banner was previously acknowledged, accepted or published. Licenses and Indemnification. Advertiser/agency grants Wentworth Shire Council the right to use, reproduce, publicly display and distribute advertiser’s advertisements and collateral information and warrants that advertiser/agency has the right to grant such license. Advertiser/Agency represents that the advertiser is the owner or is licensed to use the entire contents and subject matter contained in its advertisements and collateral information, including, without limitation, (a) the names and/or pictures of persons; (b) any copyrighted material, trademarks, service marks, logos, and/or depictions of trademarked or service marked goods or services; and (c) any testimonials or endorsements contained in any advertisement submitted to Wentworth Shire Council. In addition, advertiser/agency represents that the advertiser’s advertisements and collateral information do not violate any applicable local, state or national law or regulations of Australia or Common Law. In consideration of Wentworth Shire Council’s acceptance of such advertisements and information for publication, the advertiser and agency will jointly and severally indemnify and hold harmless Wentworth Shire Council and its officers, directors, shareholders, employees, accountants, attorneys, agents, parent, affiliates, subsidiaries, successors and assigns from and against any and all third party claims, damages, liabilities, costs and expenses, including reasonable legal fees and expenses, arising out of or related to: (i) advertiser/agency’s breach of any covenants, representations and warranties made therein, (ii) Wentworth Shire Council’s performance under this contract, and (iii) the copying, printing, distributing, transmitting or publishing of advertiser’s/agency’s advertisements or collateral information by Wentworth Shire Council. Limitation of Liability. UNDER NO CIRCUMSTANCES WILL Wentworth Shire Council BE LIABLE FOR ANY SPECIAL, INDIRECT, INCIDENTAL OR CONSEQUENTIAL DAMAGES, INCLUDING, WITHOUT LIMITATION, FOR LOST INCOME OR PROFITS, IN ANY WAY ARISING OUT OF OR RELATED TO THIS CONTRACT, EVEN IF Wentworth Shire Council HAS BEEN ADVISED AS TO THE POSSIBILITY OF SUCH DAMAGES. You declare that all images or copyright content published by you are either approved for use or you are the owner of the material. Wentworth Shire Council does not accept responsibility for images, text, graphics or other intellectual property published by either advertisers or the public. 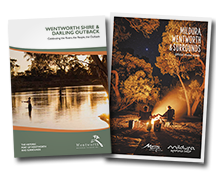 Wentworth Shire Council is a directory and as such ALL advertisers are committed to the directory cycle. All content and designs remain the property of the Wentworth Shire Council at all times. It is expected that all email enquiries will be responded to by operators within 3 working days in a professional and courteous manner. The responsibility of updating, editing and web management of actual advertisers pages is the onus of the owners. No responsibility will be taken by Wentworth Shire Council, Visitor Information Centre Staff and www.visitwentworth.com.au for incorrect information, server downtime or errors. 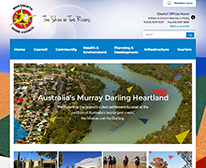 It is the responsibility of the Advertiser/agency to check their web pages regularly and report any problems to Wentworth Shire Council staff. Wentworth Shire Council will not link content that mirrors the website produced. Nor will we link to splash pages internally unless they are hosted by the advertiser on a separate server. ALL cancellations must be made in writing. In the event that the site is cancelled or defaults prior to this time, Wentworth Shire Council retain the right to continue hosting any pages at their own expense without rates and/or contact details and divert incoming sales leads for a suitable period. This period may continue indefinitely as not to impact on search engine position. Wentworth Shire Council has the right to remove, edit and add listings to the Visit Wentworth Website that are in accordance of all Australian Laws. Wentworth Shire Council has the right to manage what it considers inappropriate or misleading information including but not limited to text, images and contact information. 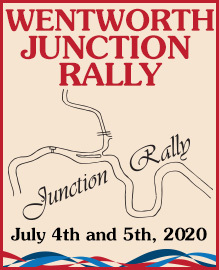 Event Updates information services supplied by Wentworth Shire Council to the community are provided with the expectation of a fair and equitable promotion for the region and a gesture of goodwill and cooperation. No correspondence will be entered into on these matters. When you list events, add text, photos, logos, links, documents you declare and warrant that you have permission to do so on behalf of the organsiation you are representing. You also have permission of use any images, logos, trademarks and brands of any organsation you are listing. Wentworth Shire Council is void of any responsibility for listing events with any incorrect information, dates, or content and simply is providing a portal to display information. If you are not satisfied with these terms we suggest you do not list events with any content you don’t have permission to upload. Wentworth Shire Council reserves the right to resuse, promote or utilise an images for promoting the Wentworth Region and surrounds as part of its marketing and promotions for any need and desire however Wentworth Shire Council does not accept any licence or copyright control of said information, logos, images and content you provide. The information on this website is provided by Wentworth Shire Council. While every effort is made to ensure that it is accurate and up-to-date, Wentworth Shire Council shall not be liable in any way in the event of incidental or consequential damages arising from use and assumes no liability or responsibility for any errors or omissions in the content of this site. Wentworth Shire Council manages and maintains this site for your personal information retrieval. You may print off material displayed on this site for non-commercial personal use only. Any “Text” or “Images” contained in this site may not be distributed, modified, transmitted, reused, reported, nor the contents used of this site for public or commercial purposes in any form without the expressed written permission of Wentworth Shire Council or one of its representatives. It is is assumed that all material supplied to Wentworth Shire Council is copyright unencumbered, no responsibility can be taken for its inclusion. All material on this site including Logos, Images, Screen Designs, Page Layouts, Database search criteria, Result Forms etc are subject to Copyright.